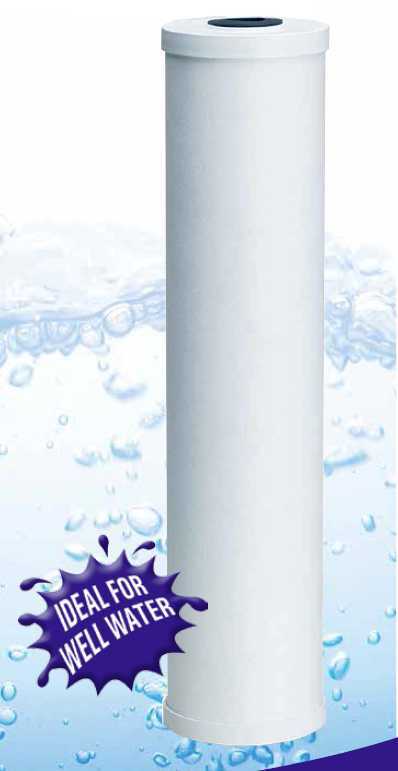 TO8 Replacement Cartridge - Omni Filters - Drinking Water Filters & Purifiers by Omni! Well-water is the most natural source of drinking water. In such a case it must be ensured that the well-water is pure and clean. OMNIFilter 20" Heavy Duty Carbon Cartridge is an efficient means of water filtration system that comprises of a Heavy duty Granular carbon Cartridge. The OMNIFilter 20" Heavy Duty Carbon Cartridge is designed with Heavy duty Radial flow carbon that is powerful enough to remove chlorine taste, bad odor, rust particles and other sediments found in the water. Its large capacity of about 100,000 gallon will give you months of great tasting water. Change cartridge filter every 100,000 gallons or 18 months.